At this time, we cannot respond to phone messages. Email: selfhelpclearinghouse@gmail.com or use the form below. Joseph Rogers is the founder and Executive Director of the National Mental Health Consumers’ Self-Help Clearinghouse, a peer-run national technical assistance center. Until June 2018 he was the National Policy and Advocacy Consultant for Mental Health Partnerships (MHP), previously known as the Mental Health Association of Southeastern Pennsylvania (MHASP). In 1984, Joseph Rogers created Project SHARE (Self-Help and Advocacy Resource Exchange), a peer-support and advocacy organization, under MHASP’s auspices. As a result of Rogers’ vision and leadership, Project SHARE grew until it was blended with MHASP, which Rogers had built from a small regional mental health advocacy agency into one of the largest mental health associations in the country, including an array of peer-run programs serving local, statewide, and national constituencies. From 1997 to 2007, Rogers served as President and CEO of MHASP. A national leader of the movement for social justice of individuals with mental health conditions, Joseph Rogers has testified before U.S. Senate committees and has consulted in more than 30 states, as well as nationally and internationally, on behavioral health policy issues. He has chaired and/or served on numerous boards and committees, such as the Executive Committee of the President’s Committee on Employment of People with Disabilities, and the Congressionally appointed Task Force on the Rights and Empowerment of People with Disabilities, which helped pass the Americans with Disabilities Act. He was a key player in the closing of Philadelphia State Hospital and in the successful struggle to get the dollars to follow the patients into the community, to establish what has become a model system of community-based services, including peer-run services. Rogers has appeared on numerous radio and TV shows to publicize the self-help/advocacy movement and fight prejudice and discrimination. His many awards include the Heinz Award for the Human Condition (2005), the Outstanding Non-Psychiatrist Award of the American Association of Community Psychiatrists (2002), the Timothy Coakley Behavioral Health Leadership Award of the American College of Mental Health Administration (2009), and the Lifetime Achievement Voice Award of the Substance Abuse and Mental Health Services Administration (2013) for his leadership in transforming mental health care in this country. Susan Rogers, who has been active in the movement for social justice of individuals with mental health conditions since 1984, has had a 36-year career as a writer, editor, public relations professional and public speaker. She has presented trainings, including keynotes, on various mental health-related subjects at a wide variety of national, statewide, and local conferences; has appeared on television and on the radio; and has been interviewed in the print media to address the prejudice and discrimination associated with psychiatric diagnoses. She is the author of numerous articles on mental health-related topics and she has edited several publications. She is Director of the National Mental Health Consumers’ Self-Help Clearinghouse, a peer-run national technical assistance center. She was Director of Special Projects/Advocacy Division of Mental Health Partnerships (formerly the Mental Health Association of Southeastern Pennsylvania) until June 2018. 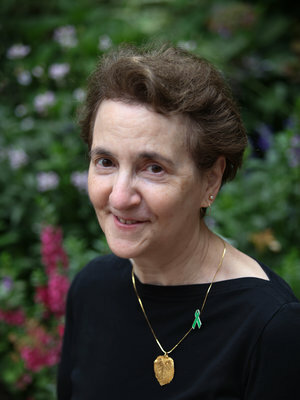 Before joining the staff of the Mental Health Association in 1985, she was editor-in-chief of a national publication on health and personal finance. Susan is the 2011 recipient of the Judi Chamberlin Joy in Advocacy Award from the National Coalition for Mental Health Recovery and the 2013 recipient of Mental Health America's Clifford W. Beers Award.